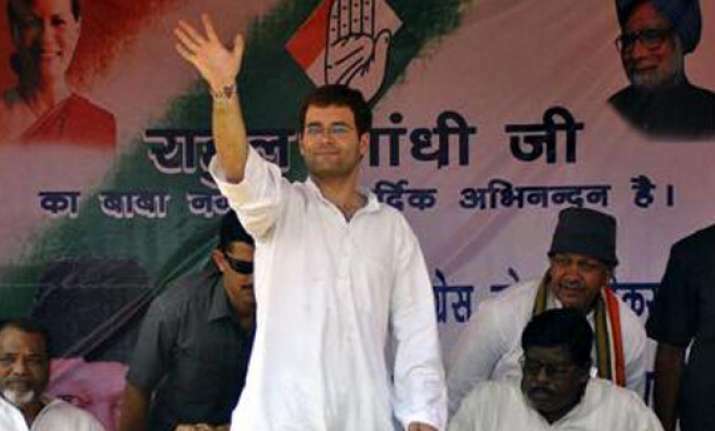 New Delhi, July 30: Congress vice president Rahul Gandhi has asked party leaders from Gujarat to build pressure on the Narendra Modi government by strongly raising issues concerning people, party sources said Monday. They said that Gandhi told senior party leaders from Gujarat including Arjun Modhwadia and Shankarsinh Vaghela to forcefully raise issues which will build pressure on the Modi government. Gandhi is also leant to have discussed agitational programmes with Gujarat leaders. He also asked the party leaders to inform people about the welfare programmes of the central government, the sources said. Modi has been named chief of campaign committee by the Bharatiya Janata Party for the 2014 Lok Sabha elections and is expected to spend a lot of time outside Gujarat in run up to the general elections. The Congress is keen to stem any wave of support in Modi's favour in the state if he is projected prime ministerial candidate by the BJP.